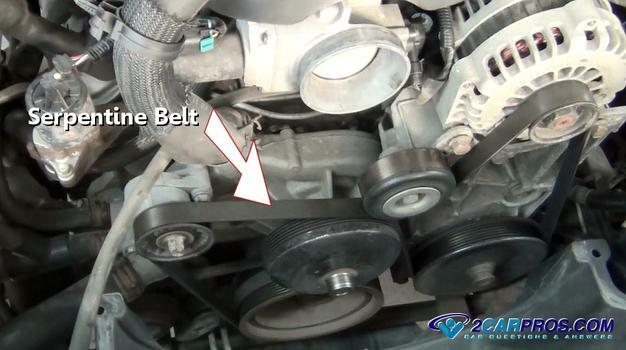 Step 2 - A serpentine belt is a normal service item that must be replaced when worn (glazed) or cracked. 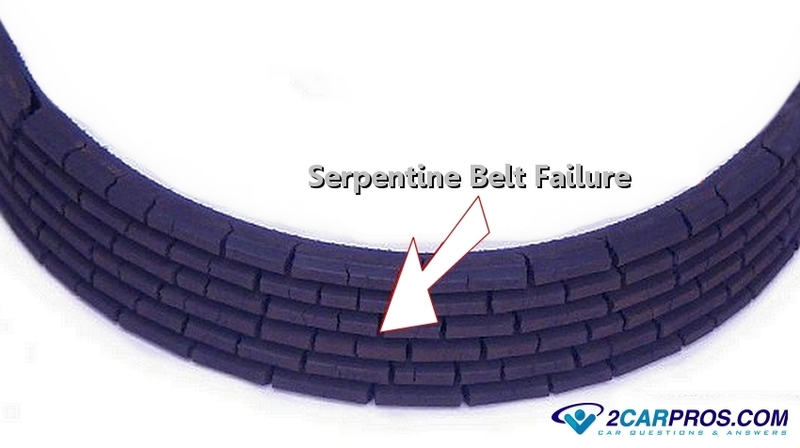 There are several names used to describe a serpentine belt, including: drive belt, poly-v belt, multi-rib, and micro-v belt. These belts are designed with several "v" grooves which provides better traction for the drive and components pulleys than traditional single "v" belts. When the belt tensioner starts to fail it will allow the serpentine belt to get misaligned causing the belt to come off, the belt can be damaged in this event. On rare occasions, an engine can buck or jerk on start up which can suddenly cause a belt to jump out of place. 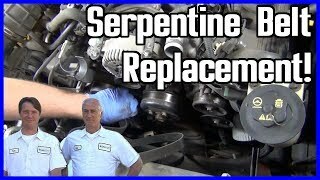 Typically most people are able to replace a serpentine belt with basic automotive tools and repair knowledge. 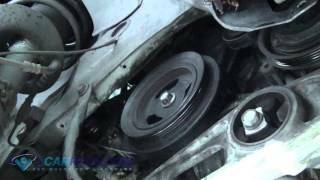 Use a flashlight to perform a complete visual inspection of the serpentine belt, look for fraying, cracking or large pieces missing. 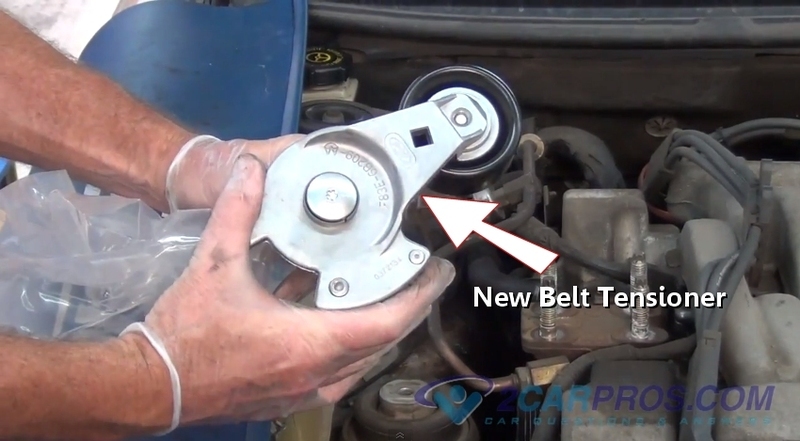 When replacing the belt inspect all belt pulleys for damage or rough spots that will effect the new belt. 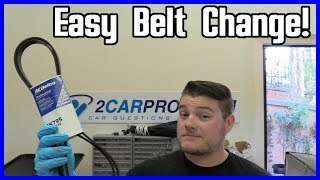 Regular replacement of this belt will help prevent breakdowns.